What are your chances of having a preemie? Thinking about the risks of having a premature baby usually isn't a mom-to-be's immediate reaction to a pregnancy test turned positive. When you find out that you’re expecting, there are much more exciting things to do: Choosing nursery decorations, registering for all things baby, picking a name and planning a homecoming party are all parts of the thrill of being pregnant. Planning for a healthy pregnancy is another important part of expectant motherhood. Premature birth is a major health problem and one that is increasing. 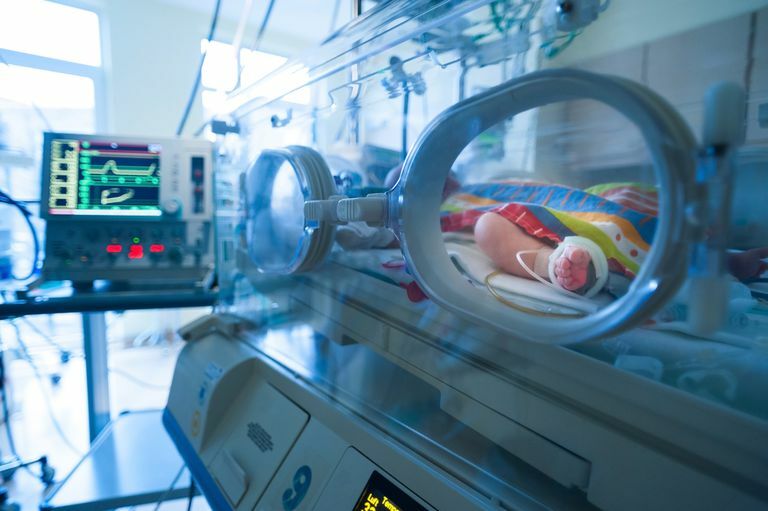 Because preterm birth is such a problem, researchers are working hard to figure out who are most at risk, how to diagnose preterm labor as early as possible, and how to prevent birth when labor starts early. Prior premature birth. Having one premature baby puts you at an increased risk for having another preemie. This risk also increases if pregnancies are close together or if you have additional risk factors. Controlling other risk factors can help reduce the risk of having a second preterm birth. Multiple pregnancies. Mothers carrying multiples (twins, triplets or more) are at an increased risk for early delivery, as well as other potential risks. Learning more about carrying multiples can help you work with your doctors to ensure a safe and healthy pregnancy. Uterine or cervical problems. Uterine infections, incompetent cervix, and placental abruption can all lead to preterm labor and birth. Treatment varies based on the problem, and may include bedrest, cerclage, medication or an early delivery. Chronic high blood pressure. Having high blood pressure before conception gives you a higher risk for early birth. Preeclampsia also increases the risk. Early prenatal care can help doctors and midwives to diagnose and treat preeclampsia or other hypertensive disorders of pregnancy early, reducing the risk of complications. Diabetes. If you have type 1 or type 2 diabetes before pregnancy, you are more likely to deliver your baby early. Good blood sugar control can be hard to maintain during pregnancy, even for women who have been well controlled for many years. Keeping blood sugar within a healthy range can reduce the risk of premature birth and other risks of diabetes during pregnancy. Smoking. Smoking cigarettes is one of the greatest risks of premature delivery and one of the most controllable. Aside from the risk of a premature birth, there are many other reasons to quit smoking during pregnancy. Alcohol use. Premature birth is among the many risks associated with drinking alcohol during pregnancy. Remember that no amount of alcohol is safe while you are pregnant. Age. Mothers under age 18 and over 30 are at the greatest risk of going into labor early. Reducing other risk factors is essential if your age puts you at an increased risk for premature birth. Lack of prenatal care. The later your prenatal care begins, the greater your risk of health complications during pregnancy. Lack of and delayed prenatal care are associated with preterm delivery. Make a doctor’s appointment as soon as you find out that you are pregnant. Poor nutrition. Mothers with an extremely low body mass index have a higher risk of preterm delivery. Mothers with a generally poor nutritional status also have a greater risk. To reduce this risk, maintain a healthy weight and avoid yo-yo dieting. Untreated infection. Infections, especially uterine and urinary tract infections, can increase the risk of premature birth. In fact, a high white blood cell count - a marker of infection - is the best predictor of preterm birth at 22 to 27 weeks gestation. Esplin, MD, Michael S., O’Brien, PhD, Elizabeth, Fraser, MPH, Alison, Kerber, PhD, Richard A., Clark, MD, Erin, Simonsen, RN MSPH, Sara Ellis, Holmgren, MD, Calla, Mineau, PhD, Geraldine P., Varner, MD, Michael W. “Estimating Recurrence of Spontaneous Preterm Delivery.” Obstetrics and Gynecology Sept 2008 112:516-523. Hill, MSca, Jacquelyn L., Cambell, PhDab, Karen, Zou, PhD, Guang Yong, Challis, PhD, John R.G., Reid, PhDc, Gregor, Chisaka, MDde, Hiroshi, and Bocking, MD, Allen. “Prediction of Preterm Birth in Symptomatic Women Using Decision Tree Modeling for Biomarkers." American Journal of Obstetrics & Gynecology April 2008 198:e1-e9. Spong, MD, Catherine Y. “Prediction and Prevention of Recurrent Spontaneous Preterm Birth.” Obstetrics and Gynecology August 2007 110:405-415. Centers for Disease Control and Prevention. "CDC Features: Premature Birth." Medline Plus Medical Encyclopedia. "Premature Infant."